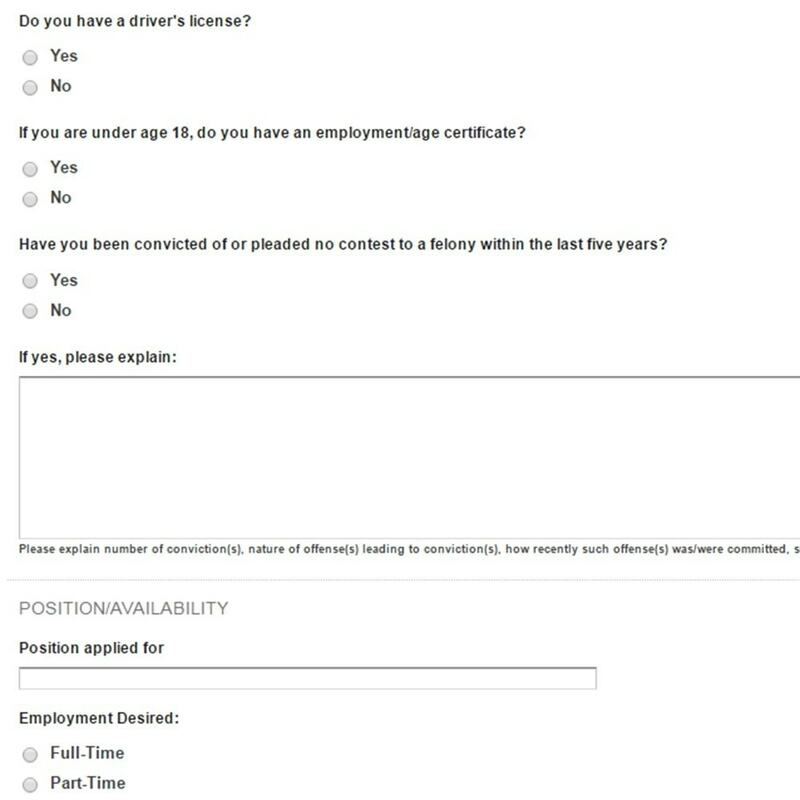 Put a professional and elegant job (employment) application form to your online store to find the right employees. 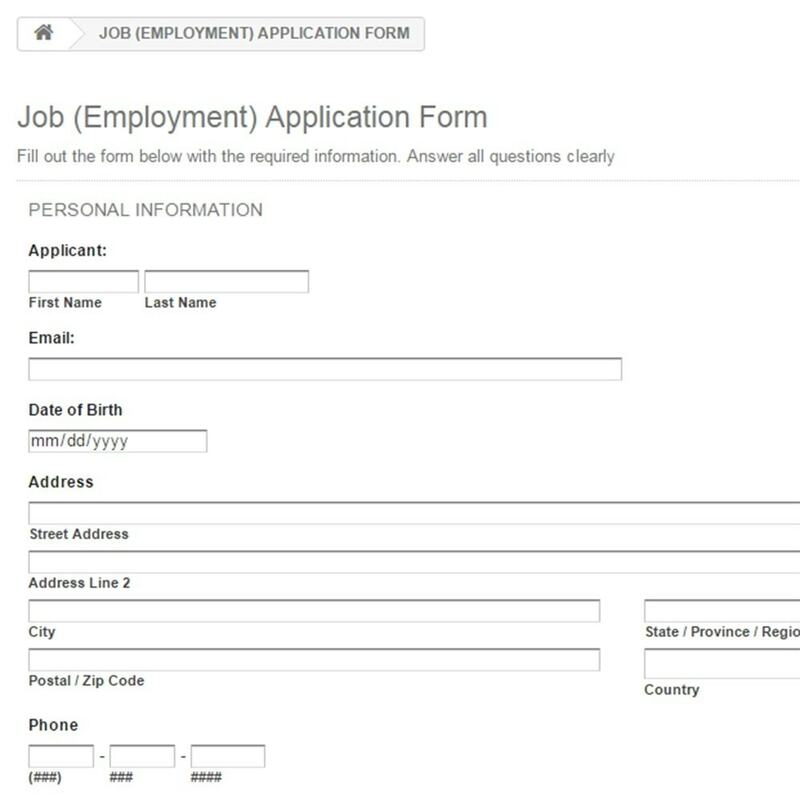 This module allows you to put an elegant job (employment) application form to your online store and eases the process of hiring for e-merchants. This form is the best and must-have tool of human resources departments of companies. 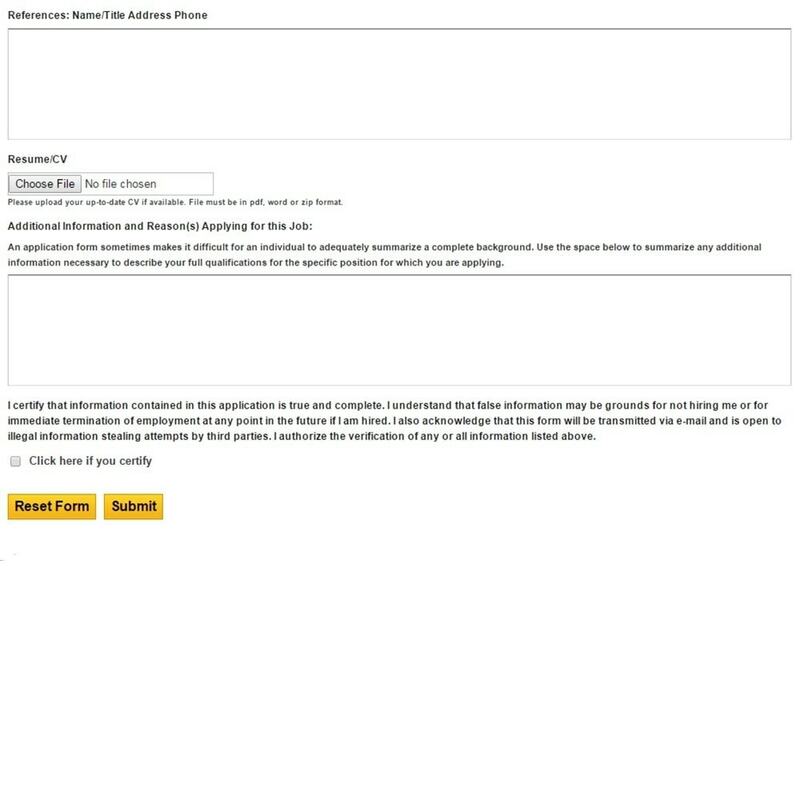 Merchant can use an image link or text link to redirect the applicant to the application form. 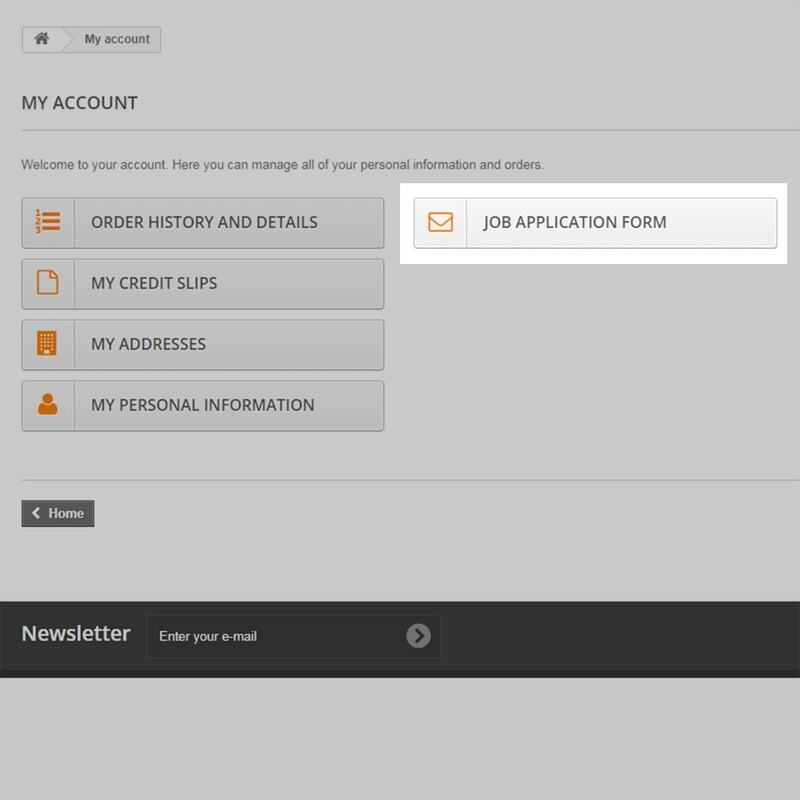 Job applications and attached CVs are stored and managed from the backoffice. 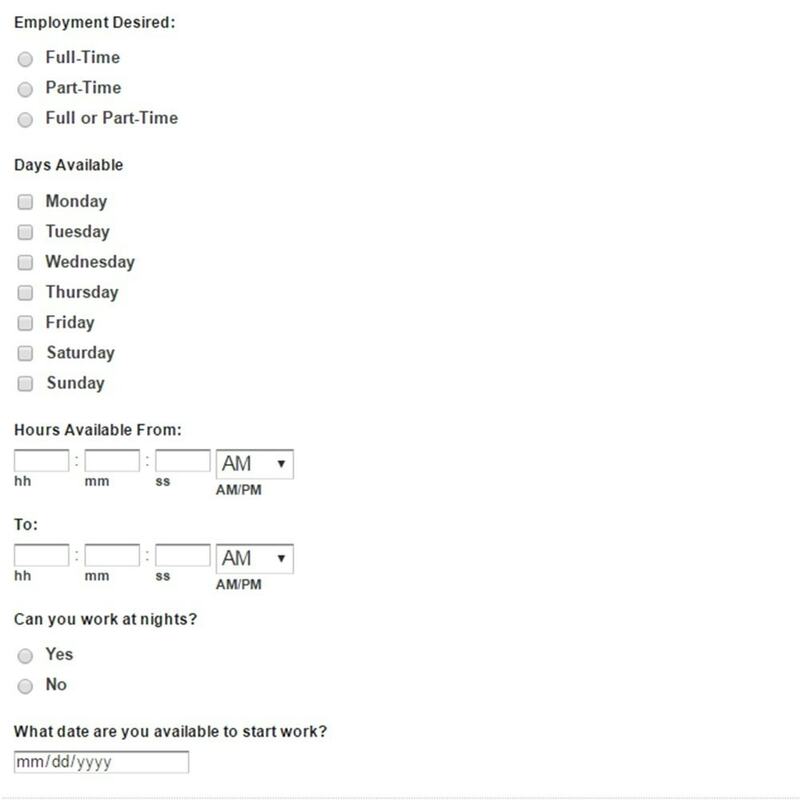 New job applications are listed in the dashboard as a notification. Send automatic e-mails both to the shop owner and applicant. Job applications and attached CVs are stored in the backoffice. 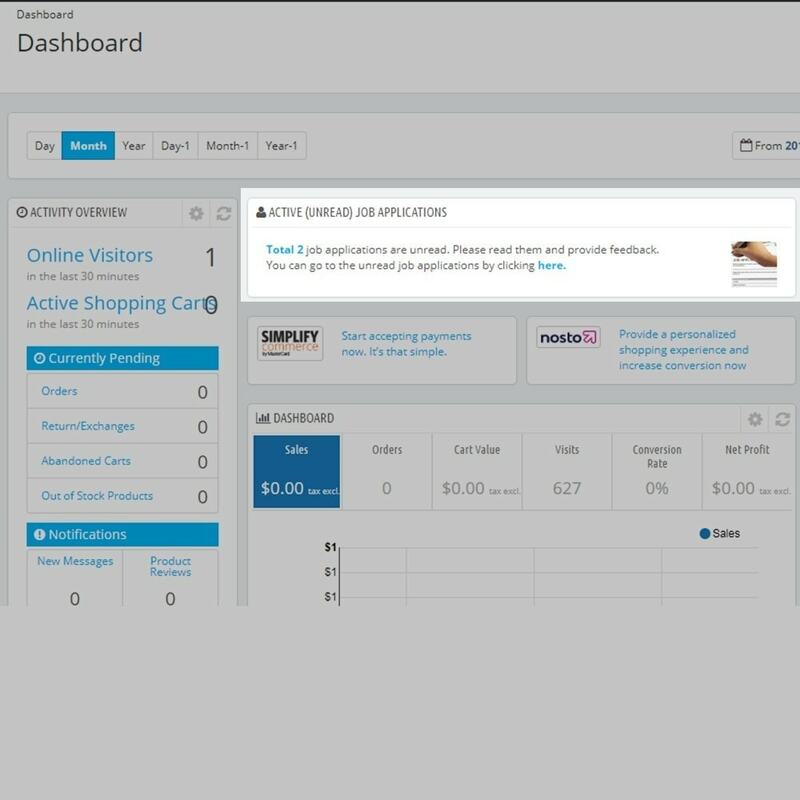 Merchants can enter comments on the job applications. 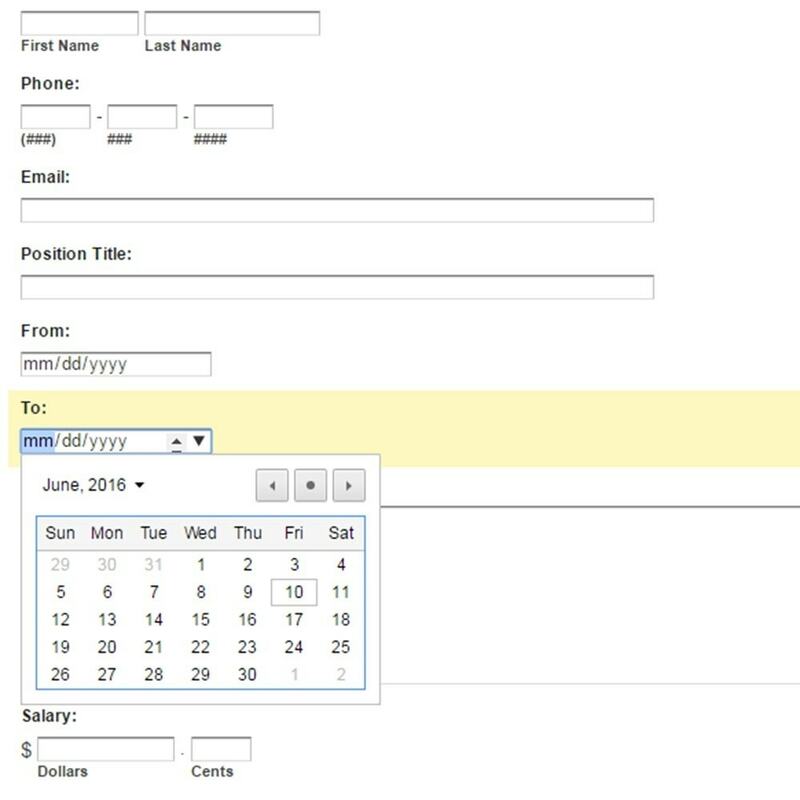 Highlights data field in the application form. 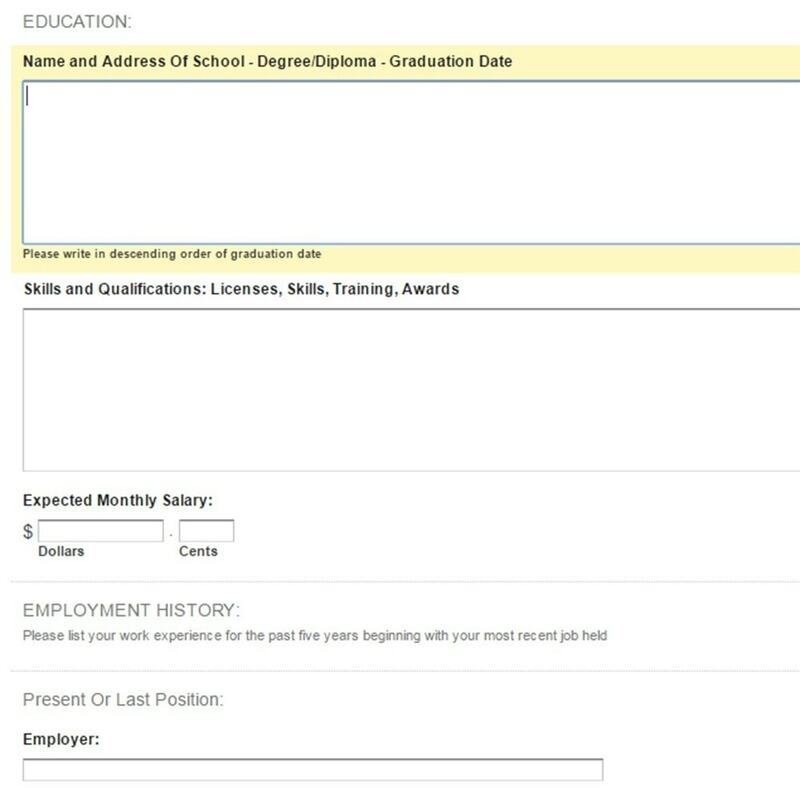 Personal information, Position/Availability Information, Education Information, Past Work Experience and Employment History Information, Additional Information and CV/resume file features are the principal data field titles of the form. Form is prepared using official/legal job (employment) application forms used in European Union and United States. But any can be adjusted for any other countries. Employment applicants may easily send their cv/resumes either by attaching a file or filling up the required fields available online. Install the module first using one of PrestaShop native install procedures. The module will be displayed under the MODULES tab>Administration at the Back Office. The job applications are stored under the module configuration page.